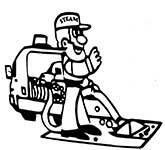 Walhalla Steam Master Carpet & Upholstery Cleaning, Inc.
Are you located in Walhalla, SC? Walhalla Carpet & Upholstery Services include Emergency Water Damage Restoration, Mold Remediation, Residential & Commercial Carpet Cleaning, Tile & Grout Cleaning, & Sewage Cleanup Services. We take Pride in Your Satisfaction.. YES! We know that word of mouth is 90% of our business and we want to make sure our customers are fully satisfied. We even go the extra yard with our Satisfaction Guarantee. If ever there is a problem with any cleaning service simply call and ask for an area to be re-cleaned at no extra cost or charge.